Dripping In A Spoonful Of Medicine For The Baby. 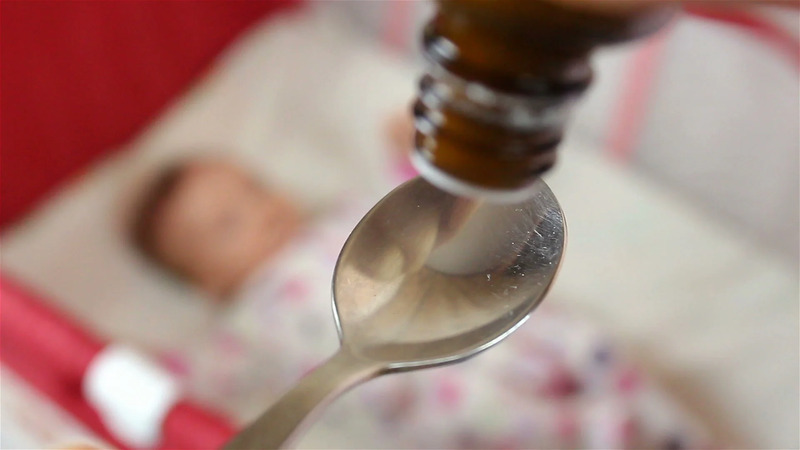 Description: Dripping in a spoonful of medicine for the baby. In the background is a newborn.